← To the streets – again. We refuse to cooperate! 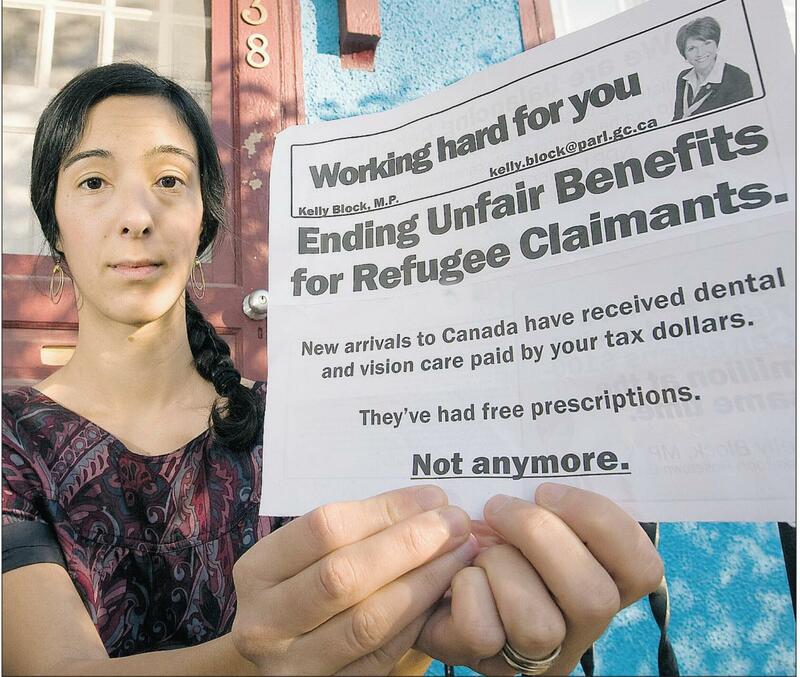 Residents in MP Kelly Block’s riding of Saskatoon Rosetown Biggar were surprised in mid October when they found a flyer in their mail boxes celebrating the end to “unfair” benefits for refugee claimants. The flyer states, “They’ve had free prescriptions, Not anymore.” The mail-out was from MP Kelly Block’s office, and it had her constituents along with defenders of health care for refugees upset. The mail-out refers to cuts to healthcare services for refugees that were implemented on July 1st of this year, despite opposition from over 17 health associations across the country including the College of Family Physicians and the Canadian Medical Association. A rally on October 20th to oppose Block’s mail out attracted over 400 people in Saskatoon. On October 22nd, Dr. Mahli Brin-Damour took her fight to parliament hill along with students from the University of Ottawa’s medical school. On today’s episode of HJR, we take you there.